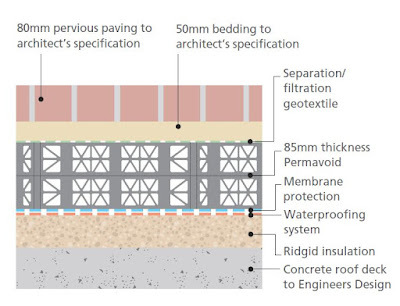 JMS Consulting Engineers: Blue and Blue / Green Roof Attenuation - option or necessity? 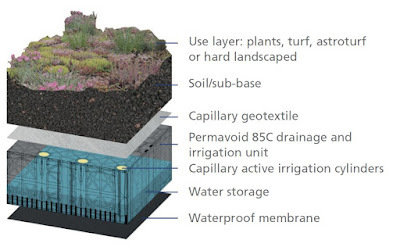 Blue and Blue / Green Roof Attenuation - option or necessity? Increasing urbanisation and climate change have a massive impact of drainage and sewage systems that will worsen rather than go away. That’s why David, Bhav, Deanna and Ben particularly enjoyed and benefited from a recent presentation by Polypipe, eponymous drainage systems specialists. The subject was green and blue roofs and their crucial part in urban planning and design. “We felt this is very much the direction planners will be pushing future surface water drainage designs” commented Ben. Engineers must improve strategies to mitigate flood events as part of a wider SuDS strategy if cities are to survive and perhaps even benefit from water run-off. ‘Source control’ is becoming the most important factor of SuDS strategy – managing rain water at the point it fall. Instead of channelling it away quickly into our busy underground drainage infrastructure, rainwater is stored where it falls and released or used with control. As there is more roof surface area in congested cities that road space, source control needs to be managed at roof level. Two basic types of SuDS engineering solutions are referred to as Blue and Blue / Green. 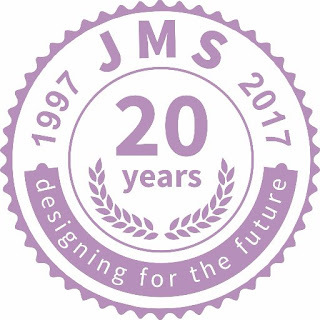 Ben noted that: “We (JMS) recently designed a Blue Roof scheme in Whetstone with a basement car park which took up almost the entire site. How can we provide the required storage? Answer - on the roof”. 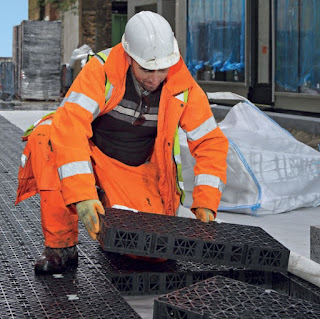 Shallow attenuation systems were used to attenuate on the roof where low diameter outlets hold the flows back and releases it at a reduced flow rate back into the underground system. Blue / Green Roof source management captures and stores the water for re-use to irrigate lawns and plants grown at roof level. Polypipe have a patented ‘passive irrigation’ system that creates a more natural environment for sustainable growth. The benefits are greater than SuDS management. 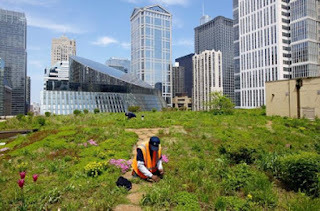 Extended developments of green roofs affect urban temperature regulations; improve air quality; provide carbon storage; and offer habitat, amenity and recreational facilities. 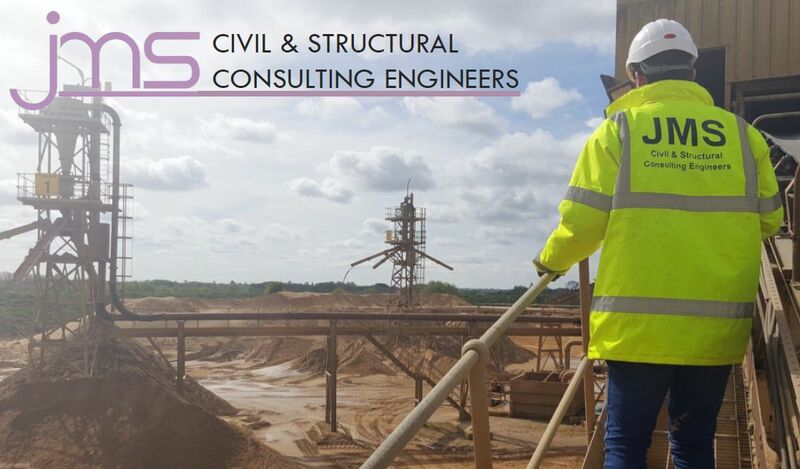 Ben said: “Already in one situation I have actually been asked to consider roof attenuation during the planning process, indicating that roof/podium storage is becoming a necessity rather than an option wherever possible”.